Home › Blog › If you love to fish, you need your own fishing kayak. The first thing to consider in a fishing kayak is where you sit. Sit-on-top kayaks are ideal for fishermen for a few reasons. Your elevated seat gives you a better view of the water, it's easier to stand up when needed, and you'll have more comfortable seating and better storage options available to you. Another thing to consider is how your kayak will be propelled. Peddle kayaks make a hands-free option that's perfect for fishers, but they can limit where you can fish since the underside of the kayak needs more clearance. Paddle kayaks take a little more work but are lighter, more maneuverable, and more of a go-anywhere option. 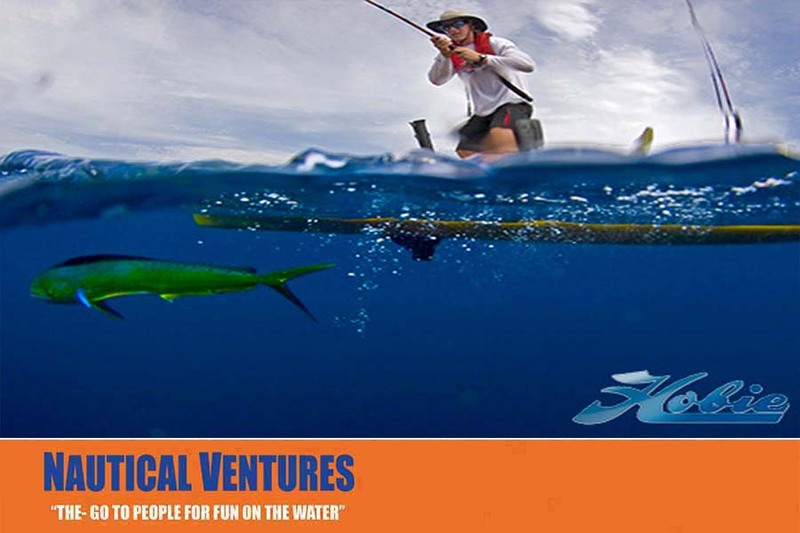 Another factor to consider in a fishing kayak for sale is the kayak's width. A wider width is usually preferred by fishermen because although it sacrifices some speed, it also makes for a more stable boat for when you want to stand. When you go kayak fishing, you'll be sitting on that boat for a long time, so you'll want something comfortable. Here again is where the sit-on-top kayak comes in handy, as there will be more comfortable and more customizable seating options available to you. As a fisherman, you'll need to have storage handy on your kayak, so that you can stash your gear and, hopefully, your catch. Sit-on-top kayaks will have more options for easily accessible storage. Look for a center console that has the space you'll need; if you're lucky, it might even be watertight, too. One final consideration is your rigging. Conventional kayaks don't have any rigging in place to hold your fishing rod, but if you're handy, you can customize it to your needs, or just buy a fishing kayak that's designed with fishers like you in mind. If you're still not sure what to look for in a fishing kayak, we can help! Stop into Nautical Ventures today to see our inventory of Hobie and other brand name kayaks and equipment, and we'll help you find the best kayak to fit your needs.